„Early Enlightenment Controversies“ war das Thema eines der Panels bei der Jahrestagung der American Society for Eighteenth-Century Studies (4. bis 7. April 2013 in Cleveland, Ohio), organisiert von der Deutschen Gesellschaft für die Erforschung des 18. Jahrhunderts; zusammengestellt wurde es von Rainer Godel (Martin-Luther-Universität Halle-Wittenberg) und Anita Traninger (Freie Universität Berlin). Ein gemeinsamer Vortrag von Thomas Wallnig und Thomas Stockinger vom Projekt „Monastische Aufklärung und die benediktinische Gelehrtenrepublik“ behandelte dabei „Disputes and Monastic Scholarship around 1700: Two Case Studies“. Eine ganz kurze Ankündigung des Inhalts ist bereits hier auf dem Blog erfolgt. This presentation starts our panel with an exploration of a rarely investigated region on the intellectual map of Europe at the beginning of the 18th century: the Catholic south of the Holy Roman Empire, and specifically the intellectual milieu of the religious orders which played a very significant role in the educational and scientific life of this area. While the notion that a “Catholic Enlightenment”, as part of a more general “religious Enlightenment”, took place in parts of this milieu has been gaining acceptance in recent years, it remains contested. These debates stand to profit considerably from a closer exploration of the specific epistemological and discursive practices of Catholic scholarship of this period, which has rarely been attempted to date. Our contribution, based on work conducted within the Austrian Science Fund-financed project “Monastic Enlightenment and the Benedictine Republic of Letters”, focuses on two sets of controversies within erudite monastic circles. I would like to begin by presenting the design and some results of the research I have been conducting on half a dozen books published in the decades around 1700 within two separate literary controversies, which both belong to the context of the rivalry between Benedictines and Augustinian Canons. Next to the perennial conflicts between Jesuits and the older monastic orders, this was among the most persistent internecine struggles within the Catholic regular clergy. The points of contention for the two strands of the debate presented here were of a historical nature: one was the relative age of the two orders, viewed as grounds for ritual and legal precedence, and specifically the question of whether the Augustinian Canons could be traced in unbroken continuity back to St. Augustine in the 5th century, as it was generally accepted the Benedictines had been founded by St. Benedict in the 6th. The other was the disputed authorship of the immensely popular devotional text, the Imitation of Christ. 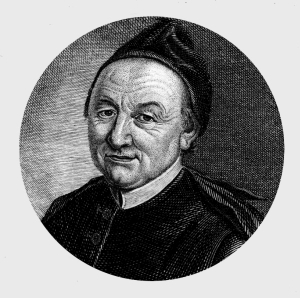 The Augustinians, along with almost everyone else, ascribed it to the 15th-century Augustinian canon, Thomas à Kempis; the Benedictines claimed it for an alleged 13th-century abbot of their own order, John Gersen of Vercelli. My research is based on a selection of works from both sides of both debates, published between 1687 and 1729. Its aim is to bring to light the means by which the authors attempted to establish historical facts – means which varied surprisingly widely and could include what resembles present-day historical criticism, but also legal, purely theological, or rhetorical-homiletic modes, depending on the age and educational background of the authors and their experience derived from other occupations. I have approached this by both textual analysis – close reading of the works with attention to the occurrence of various types of arguments – and intertextual analysis. For the latter purpose, I have tabulated the references each work makes to manuscript and printed sources, and attempted to divide them into categories. Though not free of methodological problems, this approach clearly demonstrates substantial differences in what the authors saw as useful and relevant. We may note, for instance, that texts from the (ancient or medieval) period under discussion make up nearly half the source material for Jean Mabillon and Eusebius Amort, but less than 20 % for the others; that legal texts account for nearly 40 % of Anselm Schramb’s references, but only 3 % of Amort’s; that Augustin Erath regularly used works of purely theological content in debating historical events, while all the others were much less inclined to do so; that Korbinian Khamm relied heavily on general historical works. The category of “polemical” works is comprised primarily of earlier writings within the same controversies; its major role is unsurprising, given that it was unavoidable to cite one’s opponents in order to refute them. My data also permits several refinements to this overall analysis. One of these consists of counting the number of times specific works were cited, which enables both a ranking of the most frequently used items and the calculation of average numbers of citations per work in each category – a measure, if not of the breadth of each author’s reading, at least of the number of other voices he felt should be part of the debate. The rankings reveal both immediate targets for refutation and preferred sources of favourable arguments. Further details of the use of citations are very difficult to quantify, but no less significant. Notably, it is my observation that polemical treatises quite regularly contain two distinct levels of argumentation: One involving the presentation of evidence, and one discussing its relevance and admissibility. Epistemology, in other words, is usually quite out in the open in these texts – a necessity, given that the authors usually attempted to counter every single point their opponents had made, and had to expect the same treatment in reply. Some texts cited thus function as evidence, others as procedural or methodological guides; and sometimes similar types of texts can be made to serve either purpose. Mabillon, for instance, cites numerous councils of the early church, but always as contemporary evidence of practices of the periods in which they took place; his usage thus differs radically from that of Schramb or Thomas Aquinas Erhardt, who regularly cite papal decretals as authoritative rules for how to weigh evidence. Amort, known as one of the most original thinkers in his intellectual milieu and often touted as a protagonist of “Catholic enlightenment”, is particularly interesting in this regard. His declared method is one he had set forth himself, some years previously, in a philosophy textbook, calling it ars critica, but meaning something quite distinct from what Mabillon or Richard Simon would have understood by such a term. Essentially, Amort’s ars critica was a polyvalent logic for arriving at valid conclusions on the basis of propositions which had degrees of probability rather than certain values of “true” or “false”. The degrees, in turn, were based on inductive reasoning from the observed frequency of occurrences. When applied to identifying the author of the Imitation of Christ, this resulted in a surprisingly modern approach to determining an author’s unique style from the frequency of various words, expressions and constructions in the text. This invention was inspired in part by Wolffian philosophy, but mainly by the works of the Swiss mathematician Bernoulli. Another readily observable difference in the valuation of citations is that between their use as authorities in their own right – “Aquinas says that St. Augustine founded the Canons” – versus a discussion of how the authors arrived at their conclusions. Given the near-impossibility of any one person having seen even the majority of the relevant manuscript sources, this was generally the major avenue by which the latter were present in the debates. Amort, when he wrote his Informatio, had access to only two (not very significant) manuscripts of the Imitation in his own canonry of Polling; he discussed all the crucial ones in considerable detail based on descriptions in prior publications. Khamm and Erhardt, from what I can see, never personally inspected a manuscript source at all; but Khamm in particular accorded great importance to their being the pre-eminent type of evidence for historical matters, and made certain, in citing recent historians, to reproduce their indications of the sources used. Finally, the texts allow for tracing formal criteria for the validity of arguments, such as were taught and practiced in the disputational culture of contemporary institutions of higher learning. Erath is the only one of my authors who not only makes a regular habit of arranging his own deductions as fully formed Aristotelian syllogisms, but criticizes opponents for failing to do so. The later contributors were considerably less rigorous in this regard, but nonetheless often quick to point out perceived logical fallacies; and all displayed such habits as numbering arguments and responding to them in order, and used established phrasings such as Transeat antecedens, nego consequentiam. 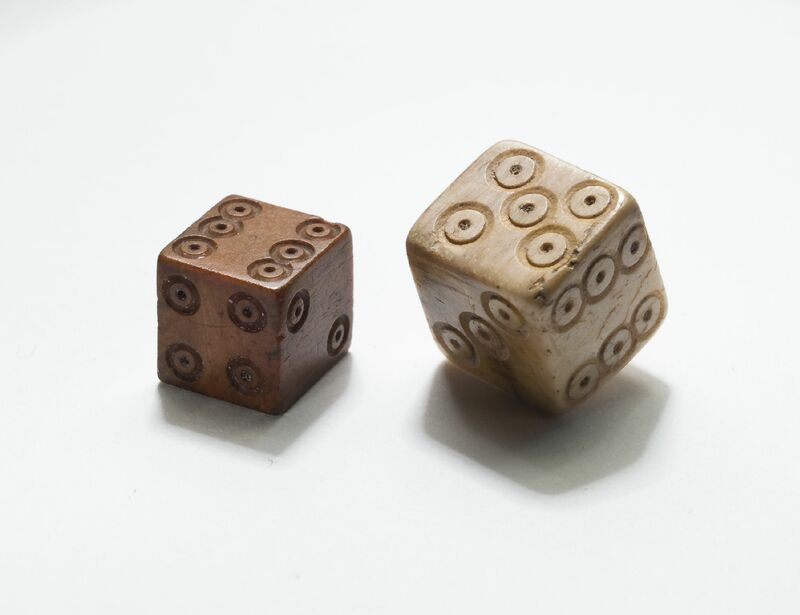 Amort had adapted traditional syllogistics to his polyvalent critica and formulated rules for arriving at conclusions based on multiple propositions with varying levels of probability. While there is not time here to give a comprehensive picture of these complex texts, I hope it has become clear that works of this type are, in fact, of great interest for any in-depth study of the development of scholarly practices. The sample I am working with is far too small for me to claim it could provide solid evidence of epistemological or praxeological shifts across the entire milieu, but it does offer some very illustrative examples of how different approaches to the same set of questions could be in this period. Some of the newer methods observed here do seem to belong to what has at times been called a “critical revolution” – the conquest of the text-based sciences by empirical and inductive reasoning, parallel to what was occurring in natural philosophy. Two key points in what my colleague has said are also important to what I would like to present: One is the intimate interwovenness of scholarly controversies with legal battles for rights and prestige; the other is the broad range of disciplines – from canon law through philosophy to historical criticism – that could be applied at the same time, with the question of the validity of these competing approaches forming a significant part in the overall disputes. I will further develop these ideas focusing on another case study: that of the learned Lower Austrian Benedictine Bernhard Pez. Between 1715 and 1731, Pez was involved in a series of conflicts. His initial plan was to publish a “Bibliotheca Benedictina generalis”, a bio-bibliographical handbook intended to document the entirety of Benedictine scholarship and science – and thus to challenge the Jesuit quasi-monopoly on higher education and learning. The “Bibliotheca” was never finished, but instead Pez published numerous volumes of critically edited medieval sources. In his attempt to “bring to light again the long forgotten treasures of Christian antiquity”, Pez ventured onto contested territory and provoked a series of conflicts. Going through some of them briefly, I will consider not only their content, but also their structure, their institutional implications and the media in which they were conducted. The Cura salutis was an anonymous Jesuit tract, distributed in several editions since 1709, which advised young men against entering orders with vows of stability, such as the Benedictines or Augustinians. The essential reason given was that these orders were idle and useless. Bernhard Pez was asked by his superiors to defend the cause of the Benedictine order in his Epistolae apologeticae which, in 1715, also offered him an opportunity to depict his favourite topic: the history of Benedictine scholarship. Written in the form of fictional letters, this book was intended as a public confutation of the Jesuit position. As frequently happened in disputes between orders, a prohibition was subsequently issued by the church against any further distribution of the Jesuit book, which, however, was not respected. Pez’s next dispute was located in a thoroughly different context, although there is some evidence for Jesuit involvement as well. The prefect of the court library in Vienna, Johann Benedikt Gentilotti, published a pseudonymous pamphlet harshly criticizing Pez’ announcement – in the Protestant Leipzig journal Acta eruditorum – that he meant to publish a certain medieval collection of letters and charters. Gentilotti pointed out that it contained letters by Berengar of Tours: a Catholic scholar, he argued, should not publish sources that disagreed with the papacy. Pez replied that historians, above all, should be committed to truth; and that Gentilotti had acted inappropriately in addressing the Acta’s editor, Johann Burchard Mencke, as an arbiter: Would a Protestant scholar ever dissuade a monk from publishing critical sources? A third conflict was situated on another level again. Pez and some of his fellow monks strove for the establishment of an organizational structure to facilitate their scholarly activities: a Benedictine congregation under the protection of the Emperor and exempt from the authority of the abbots. This inevitably became a bone of contention between Pez and his own abbot, Berthold Dietmayr, who was at this time investing heavily into the ostentatious renovation of Melk. In 1722/23 Pez and his supporters, in the name of a more ascetic and “democratic” rather than “monarchical” understanding of monasticism, filed complaints against Dietmayr with the apostolic nuncio and the emperor – without success. Leaving aside Pez’ reaction to a critical review of one of his works by Valentin Ernst Löscher, pillar of Lutheran orthodoxy; bypassing the ongoing hostilities with the Jesuits, such as the purely “learned” controversy with Marcus Hansiz over the antiquity of S. Rupert (and thus of the Benedictine monastery of S. Peter in Salzburg); and likewise sidestepping the relevance of the conflict over S. Rupert to early Habsburg genealogy, which made it a matter of great importance of European politics; I would like to end by mentioning one of Pez’s last conflicts, which concerned the publication of a mystical treatise from the late middle ages. The “Revelations of Agnes Blanbeckin”, among other things, mentioned the prepuce of Christ, which struck Pez’s critics as a scandal and an offense to good taste: although the publication had passed the abbot’s censure, it was rejected by the archbishop and the court censors, still based at the court library, and the copies already printed were confiscated. Ladies and gentlemen, what I have just presented may provide little more than just a small impression of the conflicts Bernhard Pez was involved in during his lifetime. I will try, however, to formulate some general observations which I believe are of interest in the context of our panel topic “Early Enlightenment Controversies”. 1: Disputes within German catholic scholarship around 1700 were, to a very large extent, centered on questions of historical tradition. With few exceptions, natural philosophy was not an object of debate. 2: In Old Regime Europe, historical tradition was the epistemic foundation of both the Catholic Church and the dynastic state: hence, challenging historical traditions on a scholarly level inevitably meant questioning political prerogatives. There could be no merely “historical” debate, it was always at the same time a political conflict. 3: This explains, to a certain extent, why these conflicts were fought on different levels, and by different disciplinary approaches ranging from canon law to historical criticism – the “victory” of the historical and philosophical argument over the theological one, as argued by my colleague Thomas Stockinger, is surely one of the interesting developments in the field. One might add, with an eye to the suppression of “Agnes Blanbeckin”, the emergence of an argument of “taste”, by which sources were judged not according to their historical context, but by their literary impact on the contemporary audience. Here we are entering a German catholic “quarrel of the ancients and the moderns”, whose history has yet to be written. 4: But while quarrels over historical and thus religious traditions remained partly contained within the traditional institutional settings of canonical proceedings and church censorship (think of Pez’s conflict with the abbot), we also find two new factors playing parts of increasing importance: on the one hand the dynastic government, increasingly acting as a secular and institutionalized “state”, whose office for scholarly questions was the court library. And on the other hand, there was a literary public sphere emerging, by way of the printed learned periodicals, from the epistolary republic of letters, from which it inherited an international and interconfessional ethic of striving for truth for the better of human understanding as a whole. This becomes visible in Pez’ conflicts with Gentilotti and Löscher – a learned journal could unfavourably review books, but not suppress them. 5: Finally: Can we really classify these conflicts – if not all, then at least some of them – as “controversies”? In contemporary terminology the term would have been associated with “controversial theology”, taught at the universities exclusively as a tool of interconfessional demarcation and dispute. This controversial theology, especially that of the 16th century, has been subject to intense study, yet little attention has been dedicated to the disputes within the respective confessional contexts. Where this has been done, however – I will mention only Jean-Louis Quantin’s “Le catholicisme classique et les pères de l’eglise” and Martin Gierl’s “Pietismus und Aufklärung” – where this has been done, it becomes evident that the content of all such conflicts (Gallicans / Jansenists vs. ultramontane Catholics; Pietists vs. orthodox Lutherans) cannot be adequately understood without a thorough knowledge of their structure and the surrounding institutional context. For the catholic south of the Empire, this has yet to be done.